PleasureHorse.com > Latest News > February Color Breed issue of Show Horse Today is LIVE!!! On the cover we showcase top AQHA show and one of your Readers’ Choice winners for Best AQHA Show – The Silver Dollar Circuit. This show blends the bright lights of Vegas with an exhibitor friendly schedule and top quality competition and prizes to create a unique event. Big news for 2019 includes the addition of Premier Quarter Sires events and we have all the details! We look at the American Roan Horse Association, learn about maximizing your Trail warm up with APHA trainer Blake Carney and spotlight the stunning Appaloosa stallion DZ Weedo that changed the face of the industry and even became a Breyer horse. Dana Hokana brings us part three of her incredibly popular new series Beyond Horsemanship. This month she focuses on understanding quadrants for both horse and rider. Lynn Palm shares her expertise on liberty work. All this and SO MUCH MORE!!! 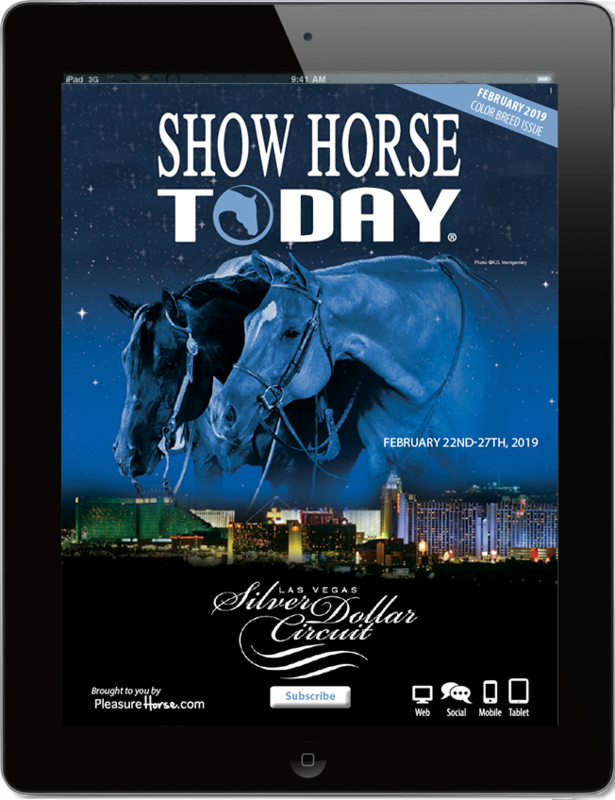 For Exhibitors by Exhibitors – Silver Dollar Circuit Shines Bright Under the Vegas Lights.